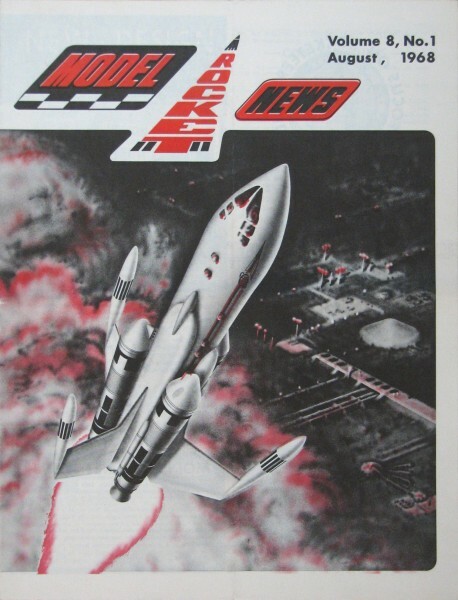 These editions of Estes Model Rocket News are nowhere to be found anymore (well, almost nowhere), so I have been attempting to purchase copies on eBay and scan them for posting here. That way, everyone can benefit from the exceptional work the Estes team did back in the 1960s and 1970s. That was the era when I was gobbling up everything I could find on airplanes and rockets. Unlike today where so much information is available on the Internet, back then you either paid for access to good information or if you were lucky, it could be borrowed from a library or friend. I used to anxiously anticipate the arrival in the mail of each new edition. Click the full-page images for a larger version. If you need the resolution of the original scan (more than 2000 pixels tall), please send me an e-mail. All copyrights are hereby acknowledged, and I will pull this resource if the owners have a problem with it being posted. Hopefully they do not.